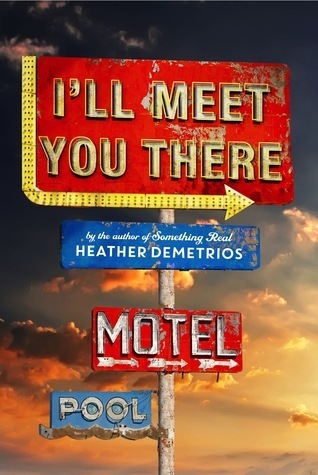 I'll Meet You There was a fantastic book. In fact, I would have loved it even more if it was longer. Don't get me wrong, the ending was satisfying, but I'm certainly not one to turn down more of a good thing. There's so much to love in this book. We've got flawed characters that just want to be more than where they come from. Yeah, they don't always make the greatest decisions, but that's what makes them such great characters for this story. The setting was perfect. You really get the feelings of a small town where everyone knows your business. I loved the Paradise. It's cute and quirky and a great setting for a good chunk of the story. I really enjoyed the parts of the book that talked about Skylar's collages. The details were so vivid that I could picture them so clearly. It was a neat aspect of the story that I don't see too often. And, finally, the emotion. You know I love stories that make me feel things. And boy, did I feel things while reading this book. 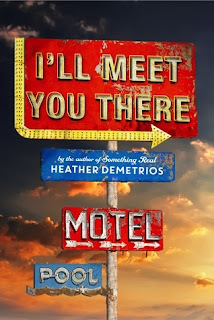 I'll Meet You There is character driven and has a slow build up to a satisfying conclusion that leaves you wanting more. If this sounds good to you, pick up this book. You won't be disappointed.